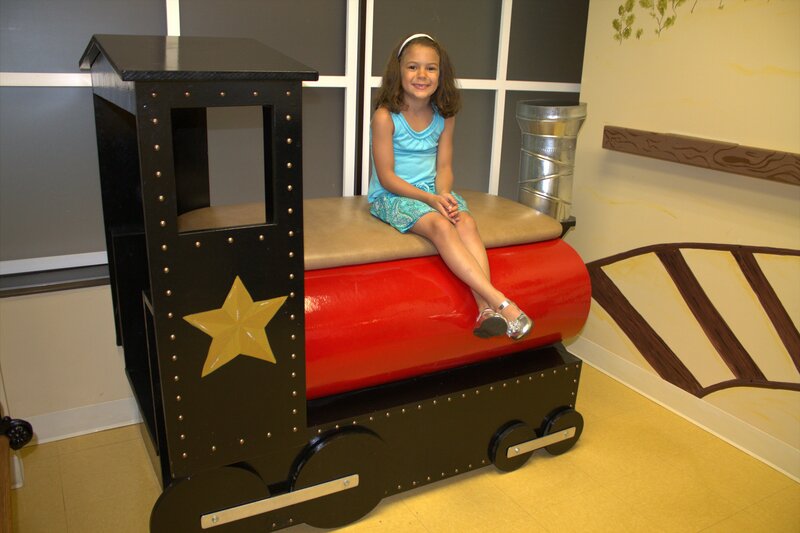 The centerpiece of the “Shady Grove Station” exam room is the “Hirsch Express” locomotive exam table, demonstrated above by Lucy Hirsch, age 5. 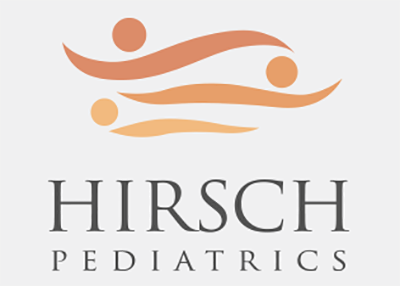 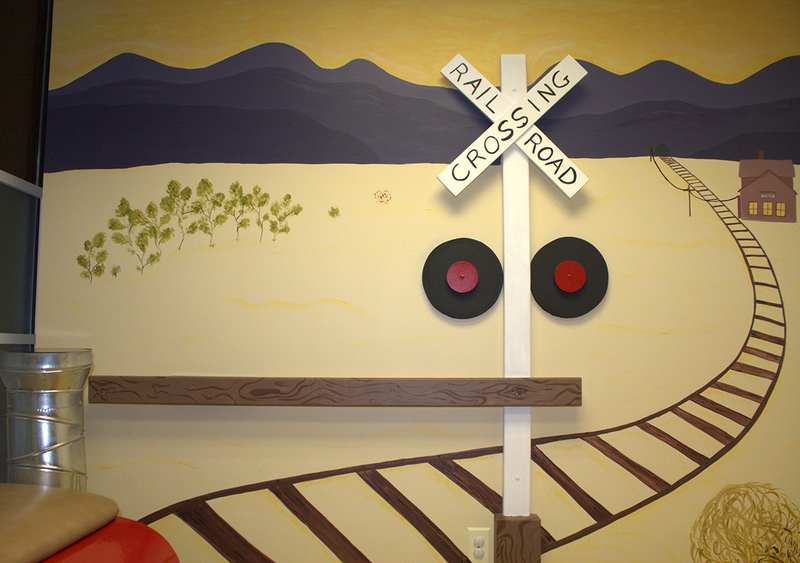 The unique locomotive exam table was designed by Dr. Hirsch himself and custom built for Hirsch Pediatrics. 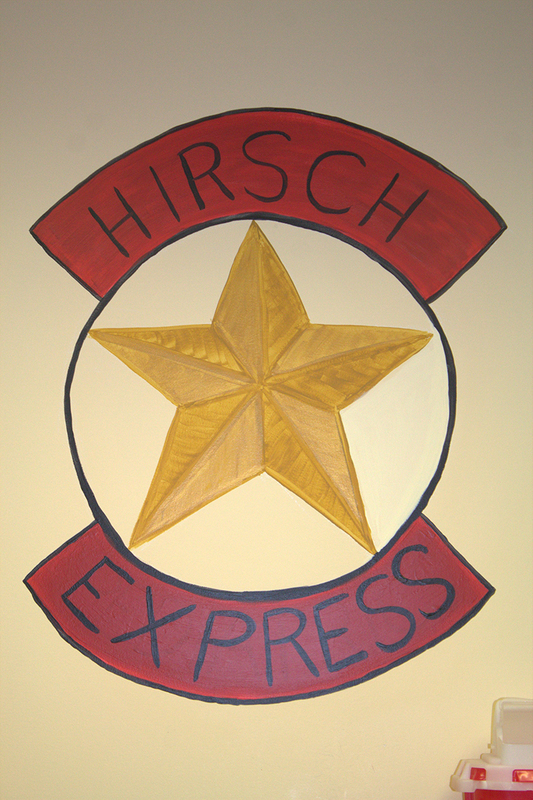 Once you pass the railroad crossing, the “Hirsch Express” train continues on to the next train station pictured in the distance on our hand painted mural. 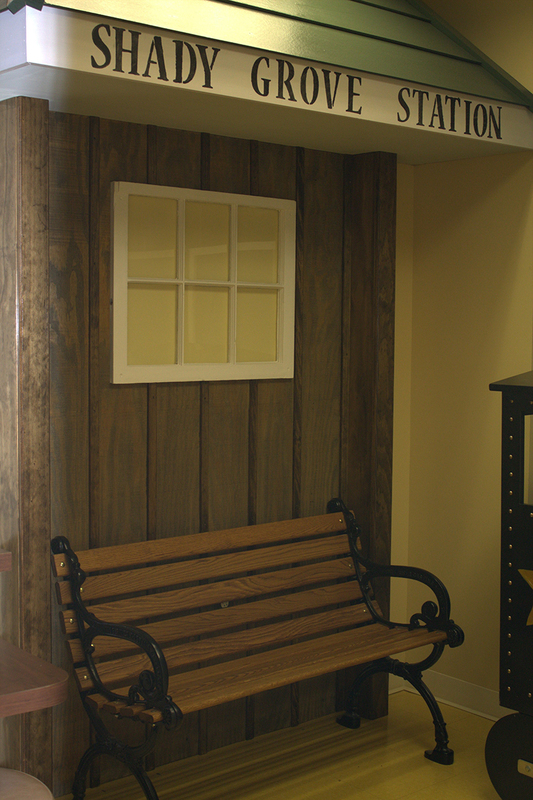 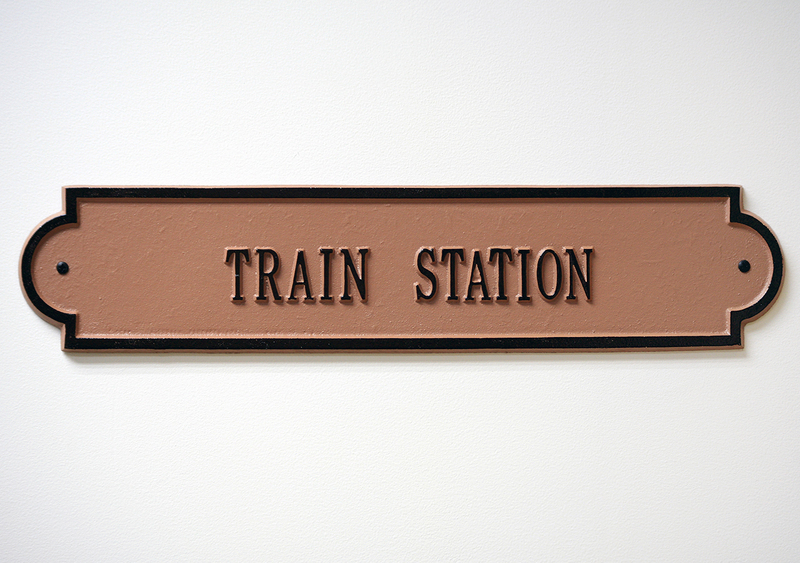 Our parents can relax in an old fashioned wood bench underneath the Shady Grove Station ticket window as your child calls out “choo-choo,” as is often heard throughout the office.